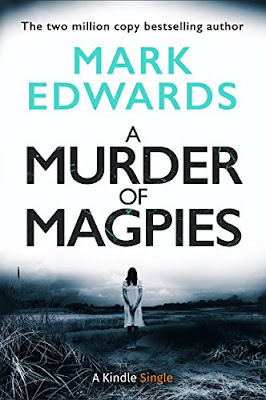 This story is a short sequel to Edwards The Magpies. This book takes place five years after Jamie Knight and his wife lost their unborn baby and were put through hell by their neighbours. The women responsible Lucy Newton who is known as the Dark Angel was sent to prison. But now she has been released. Soon Jamie received a message from a stranger, is Lucy up to her old tricks again? Is Jamie going to be pulled back into her madness? I am yet to read a book by Mark Edwards that I haven't loved. This book is no exception. I loved it. Although this is only a short story it sure packs a punch. 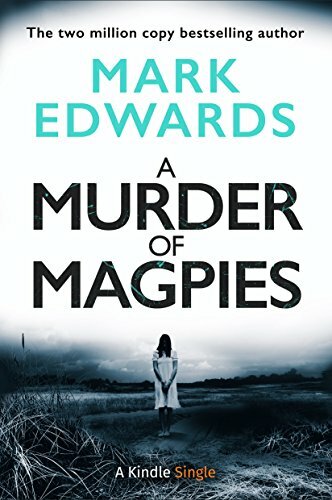 Wonderfully written, finishes the story of The Magpies off perfectly. I always hoped for a happy ending for Jamie and his wife and although this is not how the book ended I enjoyed it none the less. The characters are wonderfully written, the plot is totally gripping and keeps you hooked from the very first page. I couldn't put it down and read the book in a single sitting. Praise to Edwards for yet another wonderful book. I cannot wait to read more of his books. He has firmly secured himself a spot in my favourite author's category on my kindle.